Consider this alert your fair warning. This week, you’re going to see A LOT of publicity dedicated to hot technology companies like Lyft, Uber, Pinterest and Airbnb. That’s because all of these companies (and a few more) are on deck to go public through an initial public offering (IPO). This is typically how new stocks are added to the market and how individual investors like you and me can invest in new companies. However, today I’m warning you to ignore the hype. Let me start off by saying that I have a lot of experience with IPOs. Back when I was at the hedge fund, it was my responsibility to handle all of the IPO business that our firm took part in. I would go to the road shows, grab lunch with the executives of the new companies, place calls to the brokers in charge of the deals, and I would literally call in favors that were owed to our hedge fund to ensure the best treatment possible when it came to the hottest deals. So when I say this market is rigged, I know exactly what I’m talking about. Reason #1 To Go Public — The company wants to sell shares to raise capital so they can open new stores, hire more workers, or become a stronger business. Reason #2 To Go Public — Company insiders — AKA founders and private equity owners who got in before you or I ever had a chance to invest — want to sell part of their position at a top-dollar price to lock in a big profit. Unfortunately, the latter accounts for a large portion of these transactions. And unsuspecting individual investors who buy these shares are usually the ones handing them their profits. That’s because the men and women on Wall Street — with their millions of dollars in research capabilities and their endless connections — know exactly which IPOs are strong businesses looking to grow and which are full of insiders looking to cash in on their investment. You on the other hand probably do not have these insights, which puts you at a serious disadvantage when it comes to making money from these exciting transactions. But that doesn’t mean all hope to cash in on IPOs is lost! 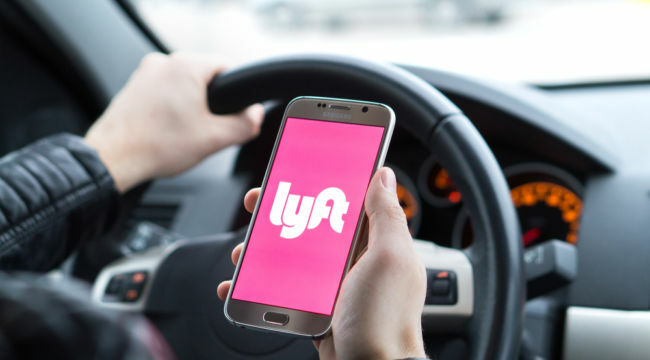 To profit from the market’s hot new stocks — like the Lyft IPO that is getting so much attention right now — you need to know how Wall Street approaches these events. Most Wall Street firms get their allocations of new stock at one price from the broker, for example $35 per share. Once the stock starts trading in the market, the successful ones move sharply higher — maybe starting to trade at $45 or more. Therefore, these institutions have a BIG incentive to sell these shares and lock in a profit. And that’s what they do! So you don’t want to be buying in the first few days or weeks after a successful IPO prices. Because in other words, the big institutional investors are SELLING. But wait a few weeks and after the dust settles, then these same institutions start building their real positions. This happens after they get a chance to do all of their research, see how the stock is trading, and check in on the managers and see if anything has changed since the company went public. If these institutions still like the stock after all of this research, they start buying stocks over time. That’s when you want to jump in with them and ride the stock higher — not when the stock is hyped up on its first day of trading. Bottom line: the whole IPO game is rigged in favor of the big guys on Wall Street. However, with the right playbook, you can still make money alongside these investors over time. You just need to be patient. Consider this your fair warning. Apple vs. Cable — Today at 1PM Eastern, Apple Inc. is holding a “special event” to announce new service-related products at its headquarters in Cupertino, California. Early reports indicate that two services expected to be announced include a streaming video service and a premium subscription to its News app. Today’s event is just another example of Apple creating a “moat” around its business, keeping competitors at bay. New Boeing Details Emerge — New details emerge daily about the status of the Boeing 737 MAX, which not only impacts Boeing’s stock price, but also the prices of airlines globally. The two most recent reports state that Boeing rushed development of the aircraft in order to beat Airbus’ rival plane to market, and that Boeing is currently testing software changes to the plane to avoid future accidents. Stick with The Daily Edge as we continue tracking this story. Earnings on Deck — There are plenty of exciting earnings reports scheduled to be released this week. On Tuesday, Cronos Group, Carnival, McCormick and KB Homes reports earnings. On Wednesday, Paychex, Lennar, Five Below, Lululemon Athletica and PVH report earnings. On Thursday, Accenture and Restoration Hardware report earnings. And wrapping up the week on Friday, Blackberry and CarMax report earnings. U.S. Economic Check Up — On Thursday, the Commerce Department is scheduled to publish its most recent estimate of gross domestic product (GDP) growth — a growth measure of the overall economy. According to the WSJ, the first estimate showed the economy grew at a 2.6% annualized rate in the fourth quarter from the previous three months. But new services-sector data showed Americans’ spending in this area slowed sharply in the fourth quarter, suggesting the economy lost more momentum at the end of 2018 than previously believed. Economists polled by the Journal expect that growth was a slower 2.4% pace. Trump Proven Innocent — We try to stay away from politics here at The Daily Edge. After all, our job is to make you money, no matter what side you lean towards. However, the headline-grabbing Robert Mueller investigation concluded this weekend and found insufficient evidence that President Trump obstructed Justice. This is good news for anyone with money invested in the stock market right now, as turmoil in the White House certainly wouldn’t be good for investor confidence.